Here at the gymnosperm/trunkmonkey research institute we have been spending a lot of time sorting rocks. It is utter drudgery and we would have quit a long time ago had the results not been so intriguing. Basically, we belatedly discovered various USGS databases with shape files for rock units with coordinates anchored in space. Unfortunately, this data is not sorted in the fourth dimension, time. So we have been sorting the units by time. 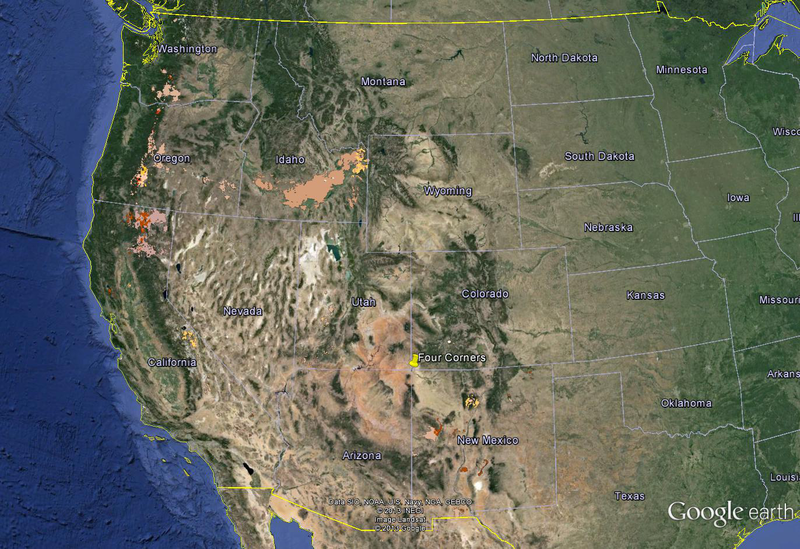 This might seem easy, but we are dealing in the case of the western United States with a covey of State Geologists with different conceptions and styles. We are also dealing with rock units that are utterly unimpressed with our preconceptions. They exploit old weaknesses and extend through time and through whatever paleontological, statuary, or geological boundaries we have contrived. 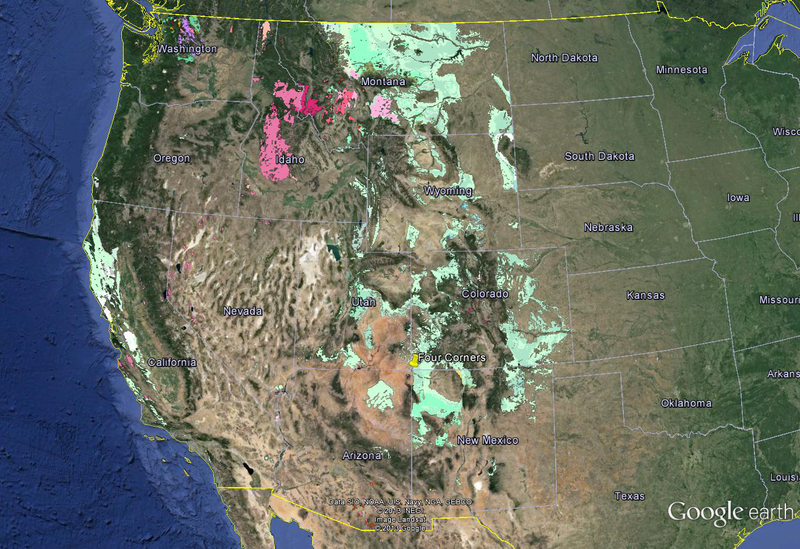 Previously, we explored the compiled geological evolution of the western United States. Everything has a derivative. There are several circular granite features on earth that make this interesting. What if you look at the periods individually? These are the Cretaceous rocks of the western US. What is surprising here is the band of granites extending from the “Salinian” I had previously attributed to strike slip, across Nevada and to the Idaho batholith. This represents a regression from the late Paleozoic/early Mesozoic pattern of igneous activity through the Klamath’s, Blues, And Wallowa’s. This entry was posted in Geography, Geological Evolution of the Western United States, Geology and tagged Great Basin, Long Valley Caldera, Mendocino Fracture Zone, Sutter Buttes. Bookmark the permalink.